Though I have backdated this a year so it shows up in the proper chronology, in the interest of full disclosure, please note this actually was posted on December 19, 2018—for some reason, I realized I failed to post this at the end of last year, so am doing so now for posterity! 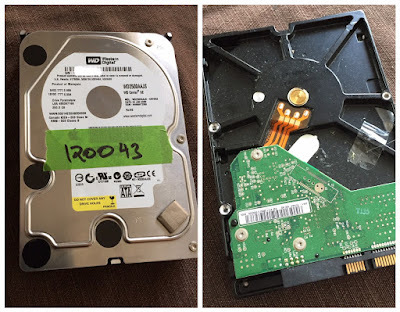 I took the machine to a Mac repair shop which told me that if the hard drive had indeed failed, it would cost about $400 for a new drive and anywhere from $250-450 to recover the data (if recoverable). Given the computer was purchased in 2009, I opted to purchase a new one; so the repair shop then got to work on recovering the contents of the failed drive. A few days later, I learned that they had actually recovered the main folders I needed – but after the data was transferred to my new computer, I immediately checked the drive while still in the shop and sadly discovered that the specific folders containing the newest issues were missing. Otherwise, I’d say about about 90% of my data was recovered—but, as I said, most of this older data had already been backed up. I had been thinking about purchasing a new computer for the past year or so anyway, but since my iMac was customized exactly the way I needed it—complete with Parallels Desktop to run Windows XP in the background so that I could access a large-size scanner that only worked with Windows and to run CorelDraw, a graphic design application I use to letter my comics—I was in no rush to reinvent the wheel by having to reconfigure a whole new computer. I forgot how fairly easy and straightforward it is to set up a computer today—the old days required a lot of cables and configuration. Here I just plugged it in, turned it on, and it was ready to go—though of course I had to install and configure software. My biggest concern were my graphics packages, including Adobe Creative Suite (Photoshop, Illustrator, InDesign and Dreamweaver), which have since moved to a monthly online subscription model. I was happily surprised to discover that not only did I find the original installation files saved on my backup drive but, perhaps more importantly, found that I had the wherewithal several years ago to save the serial number needed to activate the installation! Once I found these pieces, I was able to re-install the entire suite and discover it worked in the new operating system! Whew! What also saved my bacon were the workarounds I found for the scanner and CorelDraw. For years, I had searched online in vain for Mac drivers for my scanner, but in a search just prior to purchasing the new computer, I discovered a third-party developer that offered a Mac driver for the scanner! What another relief. As to CorelDraw, Adobe Illustrator has always been the most comparable application—in fact, Illustrator is the de facto standard among many graphic design professionals. 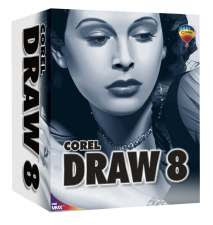 Though I have always used Illustrator to some degree and was fairly familiar with it, I have always found CorelDraw to be a little more flexible and more compatible with my needs. 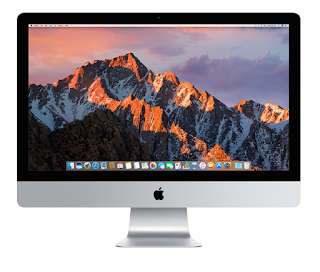 But beggars can’t be choosers—so even though I still search for a way to run CorelDraw on my iMac (short of having to re-install Parallels Desktop along with a Windows operating system), I’m making do and have become resigned to getting along with Illustrator (for now). So, aside from the disheartening experience of having lost those early pages (which I had to re-construct from memory), I’m back on track with the next issue of Rob Hanes Adventures! 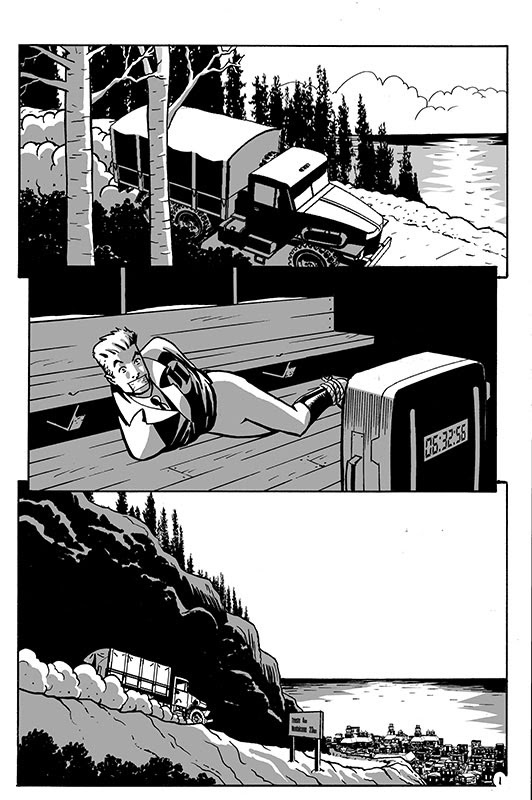 BELOW: Page 1 from ROB HANES ADVENTURES #19 (without lettering) — one of five pages I had to re-create when I lost the original files when my computer crashed. Cartoonists Alex Toth and Jack “The King” Kirby are often held up as the cartoonists who represented the two main competing “schools” in comic-books—at the risk of oversimplifying, Toth was more naturalistic while Kirby more operatic. When the superhero genre came to dominate the industry, Kirby’s more immediate, hard-hitting style—coupled with Marvel editor and writer Stan Lee’s chummy banter—became the template for the comic-book industry for a generation or more. 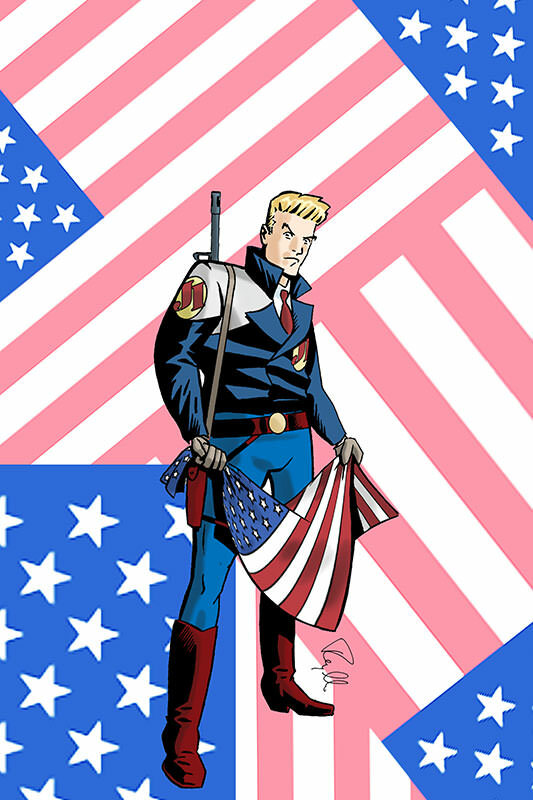 Toth came from the “school” of cartooning that has its roots in the newspaper adventure strips, most notably studio-mates Noel Sickles and Alex Toth, who themselves were preceded by Roy Crane (to whom Toth equally credits as an inspiration). I’ve written about Toth, Sickles, Caniff, and Crane extensively over the years, so it’s no secret where my own stylistic influences lie. But this year marks the centenary of Kirby’s birth (August 28), so I thought I’d add my own tribute and appreciation—the San Diego Comic-Con celebrated Kirby’s centennial birth this year (as it did cartoonist Will Eisner, born the same year) and numerous articles and tributes appeared on his birthday. 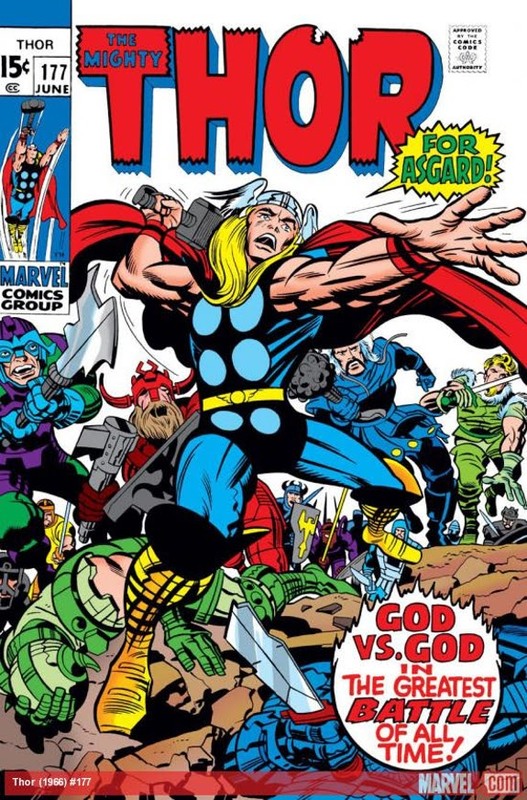 Having been born in the early 1960s, I was a little young to see Kirby’s heyday at Marvel in the mid-to-late ‘60s when, in a dazzling burst of creativity, with cohort Stan Lee, he created the Fantastic Four, the Hulk, Thor, Iron Man, the X-Men, Spider- Man, and more (he had already co-created Captain America with then-partner Joe Simon in 1941, right before the U.S. entered World War II). 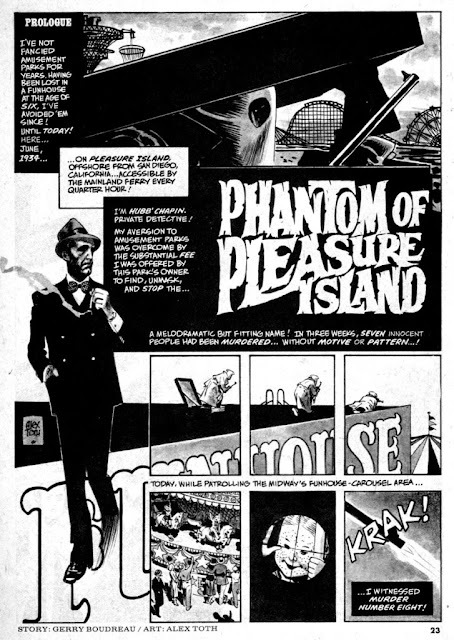 And by time I was fully into comics, in addition to my fascination with classic newspaper adventure strips by the artists mentioned above, my comic-book reading gravitated more towards characters and series like Batman and Sgt. Rock than to Kirby’s more cosmic work. 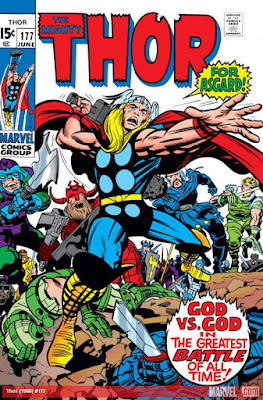 With that said, as someone with an interest in the history of comics, I was nevertheless very familiar with Kirby’s place in comics history, particularly through Stan Lee’s take-it-with-a-grain-of-salt memoir, Origin of Marvel Comics (1974). 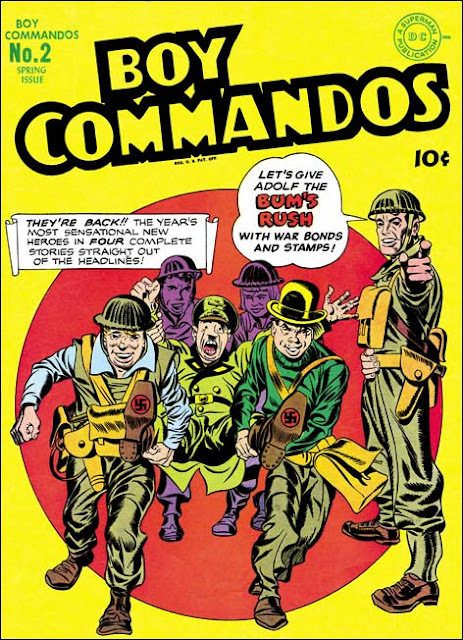 I have a vague memory of being fascinated around this time by some back issue of the Fantastic Four and, as a World War II buff at the time, reprints of the Boy Commandos that were reissued by DC Comics during the ‘70s. 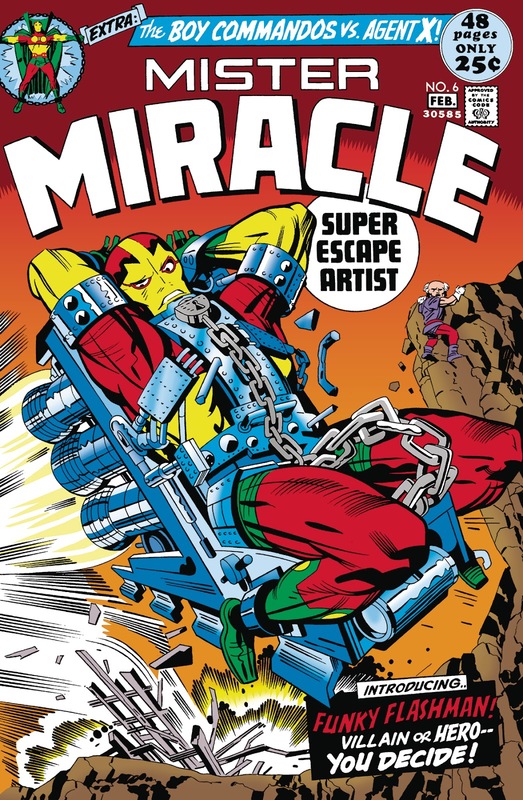 It was during my personal “Golden Age” of comics reading (i.e., age 12) when Kirby left Marvel for DC to create his Fourth World/New Gods meta-series, Kamandi, the Last Boy on Earth, and work on other books like Jimmy Olsen. 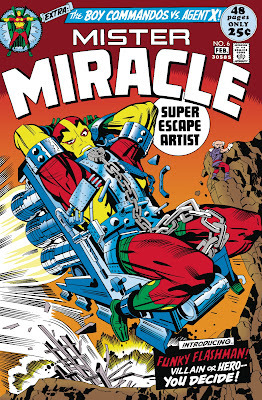 The New Gods series was not a hit at DC and Kirby would eventually move on for greener pastures to work in animated television as a concept designer and return later to do more work at Marvel, DC and even the independent market. But anyone with even a minimal interest in comics—or who has seen a recent superhero movie—has been touched by Kirby. Aside from his creations and origin stories being the foundation for the Marvel films, his New Gods creations appear to be the source for the next phase of DC’s films as well, with the confirmation of a New Gods character, Steppenwolf, as the villain for the upcoming Justice League film. (I actually first became more familiar with the New Gods through the Superman and Justice League animated series, which I thought was a stroke of genius because they were characters who could finally give the nearly invincible Superman and his super friends a real run for their money.) So it’s remarkable to note that the major story arcs of both current Marvel and DC film franchises carry Kirby’s creative DNA. Like many of the great cartoonists of his generation, Kirby was respected but never fully appreciated—nor fairly compensated—for his work or creations. 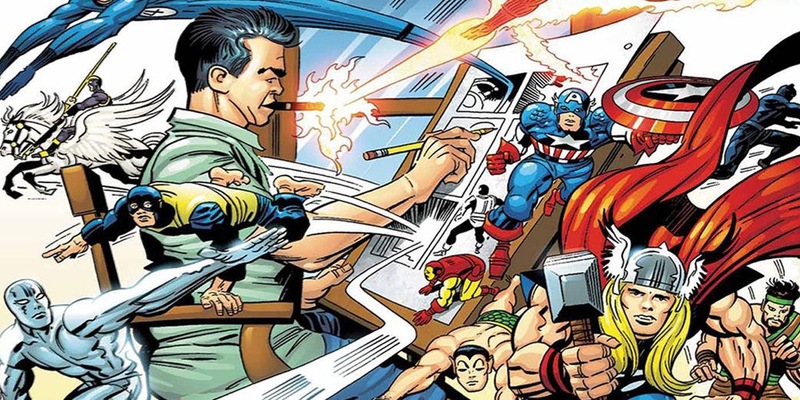 Indeed, when comics companies began returning original artwork to artists, Kirby’s art was essentially held hostage by Marvel as it tried to impose stipulations on his work’s return. 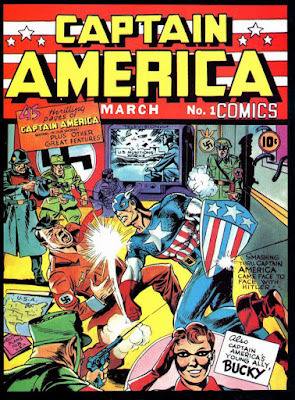 Then after Kirby’s death, his family, through his estate, pursued litigation against Marvel, which involved an effort to regain ownership of Captain America. 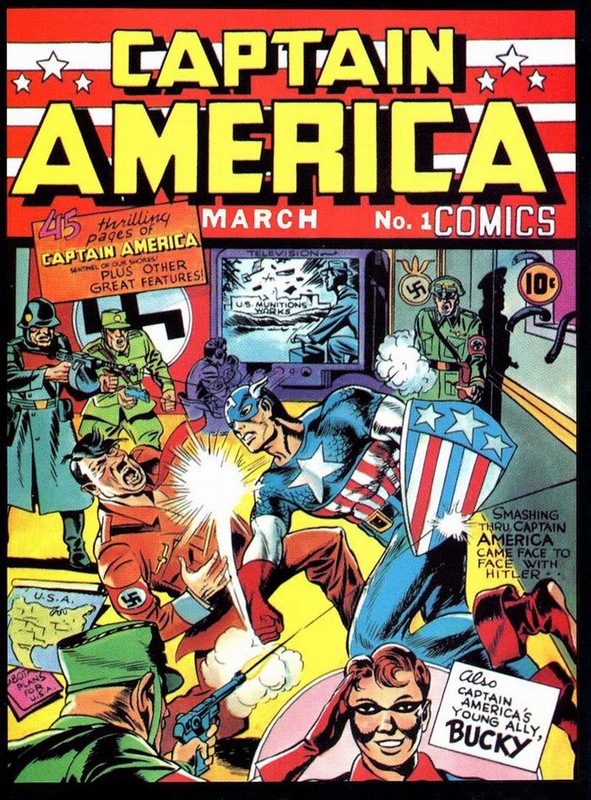 Like many comic-book artists of his generation, Kirby came from hardscrabble Jewish immigrant roots and was focused on providing financial security for his family, often becoming frustrated that he did not receive proper credit for his work, let alone a fair share of the profits generated by his creative work. 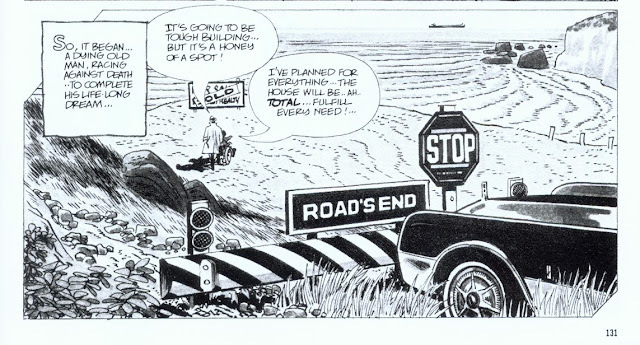 While Kirby was a visionary, like many cartoonists, he was a poor businessman. Nevertheless, while Kirby did not see these wrongs made right in his lifetime, thanks to the overdue credit and financial settlement to him and his family, Kirby’s legacy and contributions have been firmly cemented in history. 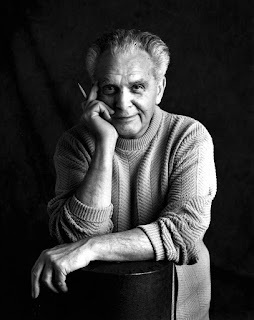 For a couple of excellent comprehensive overviews of Kirby's career and legacy on his 100th birthday, see Mark Evanier's blog and Jeet Heer's New Republic article. Over the years, there have been numerous collections of his work, particularly his romance and war comics work at Standard, DC and other publishers from the 1950s and ‘60s—as well as in the definitive three-volume illustrated coffee-table biography, which I have reviewed. 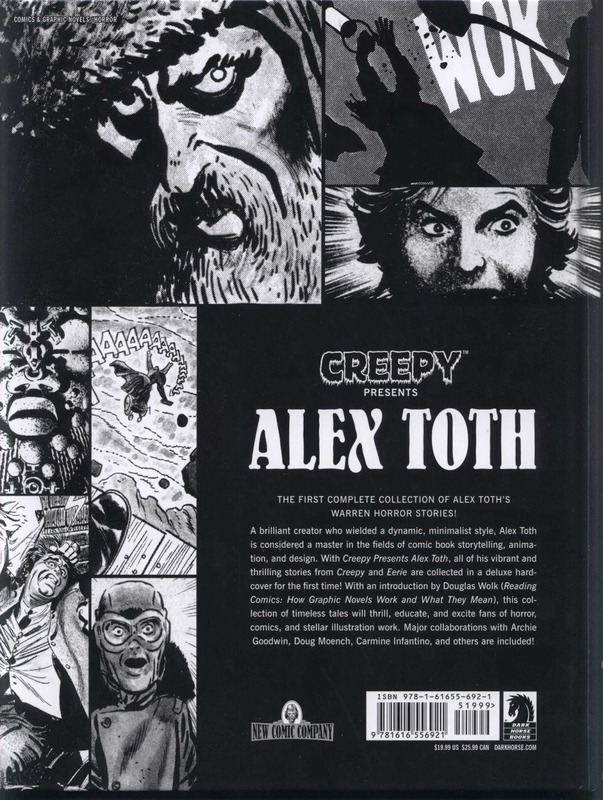 So I was happy to come across this definitive compilation, Creepy Presents Alex Toth, collecting his little-seen horror work in the pages of Creepy and Eerie magazines from Warren Publishing, dating from the late 1960s, ‘70s and early ‘80s. 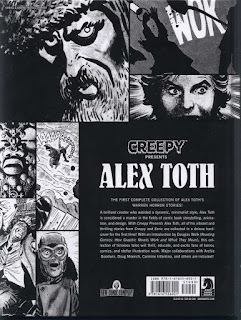 (Creepy and Eerie were black-and-white magazine-sized newsstand comics, inspired by the well-regarded but notorious EC Comics of the 1950s.) The stories in these pages show that Toth always worked at the top of his game, even in his later years. The collection shows a different side of Toth. An old school romantic, Toth greatly enjoyed doing romance comics. Aside from the occasional gem, the stories were often formulaic and arguably beneath someone as talented as Toth, though Toth’s work invariably gave them some emotional heft, raising the writing and stories to a higher level. So it is interesting to see Toth drawing stories that are a little bit more cynical and grittier, exposing a darker side of the human condition and imagination. While I have never been much of a fan of horror, the work in this collection are of the O. Henry type, usually with an ironic or twist ending consisting of retribution or poetic justice. And even with occasional depictions of grisly horror, they still feature Toth’s penchant for strong graphics, crisp storytelling and great framing and cutting. I was expecting to dismiss the stories as schlock but was pleasantly surprised that the stories were uniformly well written and high concept. 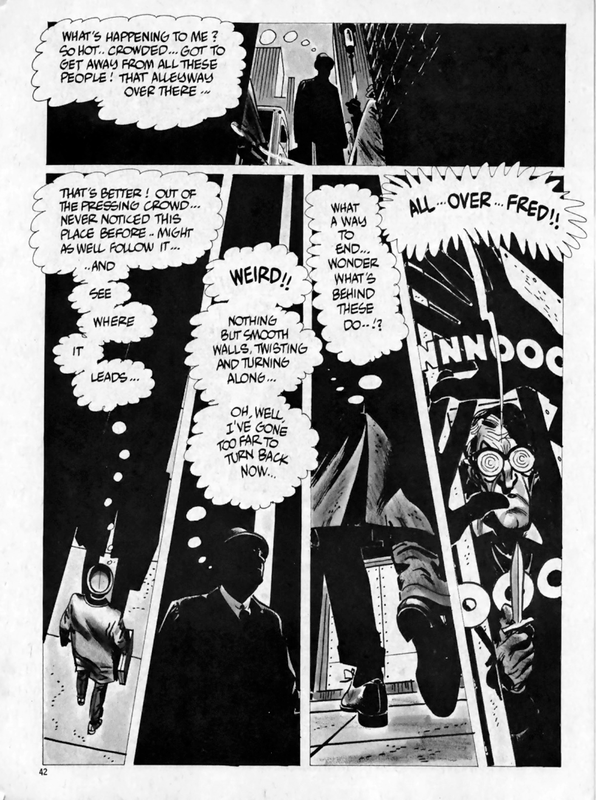 It helps of course that Toth is paired with some great writers, such as the legendary Archie Goodwin, which no doubt inspired Toth in turn. Toth is often referred to as an “artist’s artist” because other artists study his work—and this volume too is a great classroom for cartooning and comics storytelling. 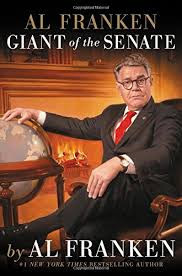 But the stories are entertaining as well as short story pieces, so anyone interested in seeing what all the fuss is about with Toth would do well picking up this collection. Below is my report on the 2017 San Diego Comic-Con, held this year July 20-23. 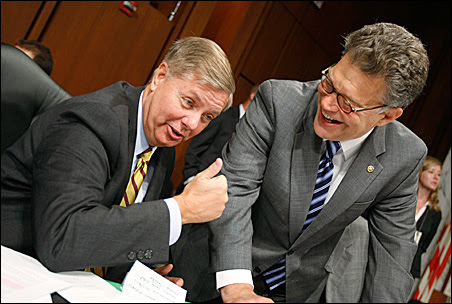 Scroll down to see some select photos or click here to go straight to the photogallery! Thanks to my brother for allowing use of his photos here as well. My thanks to everyone who visited the WCG Comics booth at the 2017 San Diego Comic-Con and made this year another success. As I hoped, the special comicon issue of Rob Hanes Adventures (#18) proved to be a draw to even those not familiar with the series. As always, it was fun to meet new fans and have longtime readers stop by to say hi and pick up the latest issue. I approached this year’s show feeling somewhat more relaxed than past Comic-Cons, primarily because for once I completed the new issue, as well as put the finishing touches on my new trade paperback, well in advance. It was quite novel to not be burning the midnight oil to complete an issue and get it to the printer in the weeks leading up to the show. I refreshed my old PVC-pipe booth banner, which I had been using since 2012, with two, simpler retractable vertical banners, featuring fresh pieces of art from the new issue (18) and the next (19). 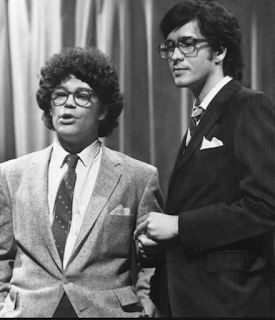 I made an effort to be more present on Twitter and Facebook prior to the show. For the first time, my tween-aged son joined me on my pre-dawn drive down to San Diego! My family usually follows me separately later in the day, so he was quite excited to get a glimpse of Comic-Con behind the scenes before it started. Despite the number of attendees, it’s no secret that Comic-Con can be a challenge for exhibitors. Over the years, the profile of attendees has evolved, meaning not everyone who attends the show necessarily is interested in comics, which is much different than when I first began exhibiting at the show back in the 1990s. And, of course, the sheer number of exhibitors vying for attention and dollars adds to the challenge. Nowhere was the changing face of Comic-Con more evident than in the decision by Mile High Comics to skip this year’s show after a 44-year run, as well as that of Bud Plant Books to move to a smaller booth at a different location from the space it traditionally occupied on the main floor in prior years. Both used to be prominent anchors on the main floor, occupying prime locations along with other notable comics dealers. While there are still traditional comics dealers on the floor, they are not at the level or standing of Mile High or Bud Plant—in some ways, like the entertainment and Hollywood booths that occupy the north end of the hall, Comic-Con seems increasingly dominated by publishers and companies that now try to connect their brands and artists to fans directly, rather than through the “middlemen” of retailers and distributors. Sales were steady for me throughout the show, not marked by the kind of long lulls that sometimes struck my booth in past years at various times during the convention. I am not a natural salesperson or self-promoter, but I have learned it helps to put myself out there a bit, if just to break through the glassy-eyed stares that invariably strike attendees overwhelmed by the show’s sensory overload. Sales on Sunday, the last day, were also surprisingly strong and brisk, with people seemingly ready to buy after four days of activities and panels. Of course this no doubt varies publisher to publisher, but I found that others had similar experiences to mine. Along with some personal and professional connections I made, it was overall a great show. I actually enjoy the early morning start and being on the road at sunrise—and as I mentioned earlier, my son joined me, who was quite excited to join me. My brother, as he does every year, flew in from Northern California and was also at the convention center by 8 a.m. My car was fully unloaded and my booth set up by 9 a.m., which then allowed me to pick up my son from Comic-Con's exhibitor's daycare and get a nice breakfast. Then it was off to the hotel for early check in. This year, through the hotel lottery, we were at a hotel a bit further out at Hotel Circle—during the show, Comic-Con has several shuttle lines running throughout the city running 24/7. I have to give credit for Comic-Con because, in my experience, even though the departure times for the shuttles are supposed to be 15-20 minutes, whenever the lines got really long either at the convention centers or on the route, they would run multiple buses almost immediately. It's pretty amazing and says much about Comic-Con's commitment to keep fans happy. Taking the shuttle from a little farther out than my usual and preferred hotel near San Diego's Little Italy really wasn't that much of a difference, other than leaving a little extra time—the shuttle stops tend to get a little more crowded in the mornings, but as an exhibitor who can get in before the doors open, I was leaving the hotel by about 7:15 a.m.
On the last day of the show, I actually always drive my car from the hotel to the convention center before dawn, again to be parked so that I can load up my car at the convention center as soon as the show ends. Those round-the-clock shuttles sure come in handy, though of course there's also the option of a taxi (or, nowadays, Lyft or Uber). 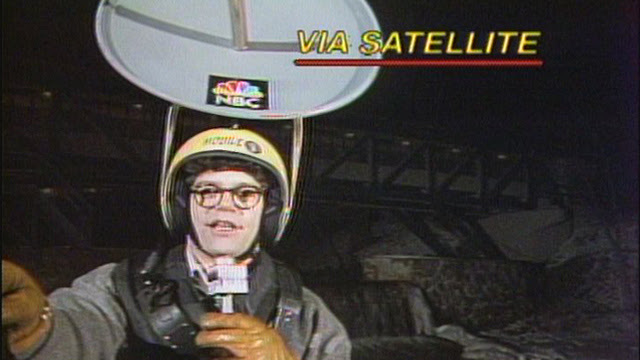 But at that hour at the convention center, there are already people on line. Since I feel obligated to remain at my booth for most of the show, I only occasionally get to check out the floor or attend panels. For me, the best time to simply see things, is the “magic hour” before the doors open each morning when things are more peaceful and people are getting ready for the morning onslaught of attendees. Some of my favorite places to visit are retailers like Bud Plant Books and Stuart Ng Books (Stuart actually visited my booth and picked up some recent issues of my book); publishers like IDW, Fantagraphics, Drawn and Quarterly; Artist’s Alley; the areas selling original art and prints by talented artists as well as established names like Neal Adams and Michael Golden. As always, it was fun briefly catching up with colleagues, friends and fans. These included new Mad Magazine executive editor Bill Morrison; comic book writer, artist and creator Mark Wheatley; Usagi Yojimbo writer and artist Stan Sakai; fellow cartoonist Batton Lash (Supernatural Law) and his wife, Jackie Estrada, who has run the Eisner Awards for years; and First Comics News journalist Rik Offenberger, who recently helped arrange an interview with me that ran just prior to the show. It’s difficult for me to get away for panels as well—indeed, while taking a somewhat leisurely lunch on Sunday, my wife sent me a frantic text telling me that people were showing up at my booth looking to see me! This year marked the birth centenary of one of my comics idols, Will Eisner, but I unfortunately missed a panel retrospective of his work. 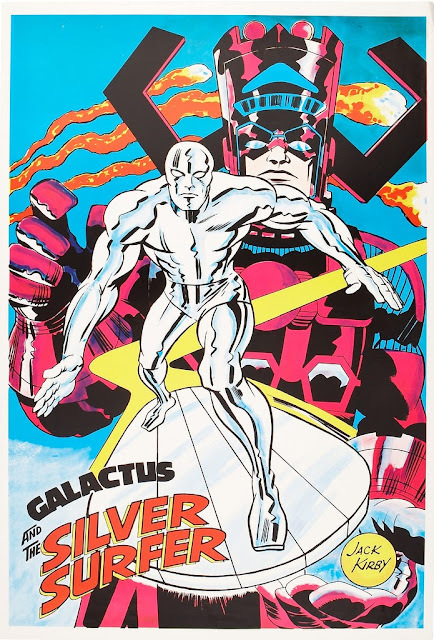 (This year also marked the great Jack Kirby’s centenary and Comic-Con prominently honored the legacy of both artists at the show.) On another day, I did catch a panel of another cartoonist I admire, Wally Wood. 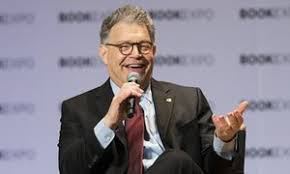 Members of my family tried to attend panels on Bob’s Burgers and Rick and Morty, but the wait turned out to be too long and the chances of getting in slim. As Walking Dead, Blade Runner 2049, Westworld, Netflix and Stranger Things, The Tick, the History Channel, and others abounded downtown and were made even more apparent to me by the fact that even at 7 a.m. in the morning, lines were forming for them. (In fact, that was a consistent theme both in the hall and outside downtown—there were lines for something related to Comic-Con everywhere!) Apparently, some even featured immersive experiences for visitors. Like last year, I felt the cosplaying was a little less evident this year. Of course, there are still plenty of people in costumes (as evidenced by my photogallery), but it just seems less frenzied. You can take this with a grain of salt, of course—I always point out that being at my table through much of the show likely gives me a narrow view of the show and, like everyone else, I have to depend on news sites and social media to know what’s going on. I noticed this year that the registration areas were moved to the upper floor, leaving the large open areas in the main lobby once occupied by these booths to cosplayers to gather and pose for photos. As expected, Wonder Woman and Rey from Star Wars proved to be popular cosplayer choices. Another trend I noticed this year was a lot of guys cosplaying as female characters! Rick and Morty, from the animated television show of the same name, was also a very popular choice this year. Aside from cosplaying, a feature of Comic-Con that often receives plenty of attention is the star quotient at Comic-Con. Though reports noted a slightly reduced studio presence in Hall H compared to previous years, the casts of the upcoming Justice League movie, led by Gal Gadot and Ben Affleck, as well as the cast of the Black Panther, created quite a stir on the floor when they respectively appeared for signings at the DC Comics and Marvel Comics booths. New trailers for Justice League and Thor: Ragnorak also premiered at the show, shortly before being released online (I caught them on Twitter at my booth). One evening after the show, on the way to dinner, I inadvertently also ran into a crowd of fans milling about the side entrance of the Hard Rock Hotel across the way, that suddenly began screaming and filming as a side entrance opened and a party of people, surrounded by security, were escorted to waiting limos. It turned out the Hard Rock was the green room for VIPs appearing at the show and Ben McKenzie, lead actor of the television show “Gotham” had just emerged. The show invariably ends in a whimper—when the announcement is made, cheers go up, but people often still go about their business as security slowly starts to get unauthorized people out the door. It's amazing at how quickly everything starts to be torn down, almost immediately. Since I have a smaller booth, it's easy for me to strike down my booth, pack everything up and, with the help of my brother and a buddy, pack up my car, using the stairs rather than the elevator to the parking garage which has long lines of people with larger boxes and booth pieces to bring down. 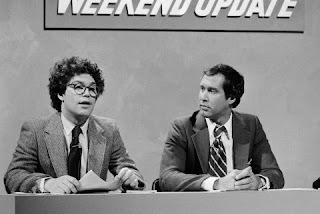 Writer and blogger Mark Evanier writes in his summary about the show that "Comic-Con has an odd way of always being too long but at the same time, not long enough." And so wraps another Comic-Con. I have to say, for some reason, I enjoyed this year quite a bit, partly due to my increased engagement with social media that made me feel more connected to what was going on elsewhere at the show and the fact that I felt a bit more energized by the release of the comicon issue as well as what’s coming up next in the series—here’s looking to 2018! Below are some choice photos from the show — or click here to go straight to the photogallery!